I learned recently that Christopher Lloyd died earlier this year, at the age of 84. Although I never met Christopher Lloyd, I have read many of his books and articles, once visited and greatly enjoyed his garden, and actually received some corrspondence from him. 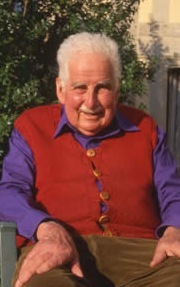 He was a lovely man, and his death is a great loss to the gardening world. My visit to his garden, Great Dixter, came in 1979, when I was in England attending the World Science Fiction Convention in Brighton. This was before I was really strongly into gardening, and before I'd taken any course in landscape design, but I loved visiting gardens, and I'd picked a group of gardens in the vicinity of Brighton to visit. I'd heard of Sissinghurst, of course, but Great Dixter was just a garden I picked out of a guidebook. I loved it, though. There was just something about it. Sissinghurst was brilliant, of course, but it was now operated by the National Trust. So it was a bit like a garden preserved in amber - beautifully polished and maintained, but frozen in time. 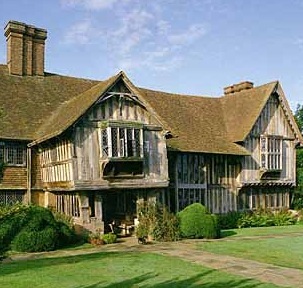 Great Dixter also had strking design features, but it felt lived-in and loved, a bit a comfortable old slipper. And the gardens surround a fabulously restored half-timbered fifteenth-century manor house that added a picturesque English component to many of the vistas. Jump to many years later. It's 1992, and I'm taking a course in landscape design on British Gardens, and I need to pick a garden to write a term paper on. I picked Great Dixter, and did tons of research on every part of the garden. It was almost like visiting the garden once again, but this time in my head, not in person. I wrote a 100-page paper, illustrated with photos, citing 38 different sources in the bibliography. I'm sorry not to have responded to your sending me a copy a copy of your research paper on Dixter, sooner. That may well have dsappointed you. However, here we go. It is excellent and I am most impressed. In many ways, you laid your hands on a great deal of material and the effort of synthesising this into a coherent as well as comprehensive presentation might well have defeated you and resulted in a confusingly undigested piece. Nothing of the kind. You are lucid and convincing throughout, even by the standards of the main protagonist, who is nothing if not critical! It is also a very intelligent piece in the interpretive sense, making me see the wood as well as the trees I live among. Small wonder you won an A. In small matters the dissertation could be updated, as a garden is always changing. I am not drawing attention to these, but I have listed some small points of fact which may be useful to you should you ever present your material to a wider public in the future. p. 26 I disagree that NL shared many of the principles promoted by Robinson. That was DL. I think she had a greater influence than you quite appreciate. p 33 para 3 "he added an academic degree to his practical knowldge" at Wye. In those days there was a good deal of practice in the teaching curriculum. I greatly profited from learning many disciplines from experts there. p 44 para 3 The only yew hedges with flat tops and angular edges are round the rose garden. On the whole, rounded tops were preferred by NL. They more readily throw off the heavy weight of snow. p 52 "when the National Trust eventually acquires the property..." No overtures or negotiations yet. My niece might choose to sell to a rich American! p 54 The Sermon on the Mount attribution of topiary at Packwood is extremely dubious, and seems to have originated from an under gardener there at the end of the last century. You should follow this up. p. 54 last line: Coffee pots for tea pots. You use the word whimsical rather often. p 75 No roses among old apple trees (No old apple trees any more either, since our two big storms). That's it. I hope we may meet some day. Let me know if you are in England. What a fantasy that opened up in my mind - a personal tour of Great Dixter with Christopher Lloyd! Sadly, I was never in his part of the country again, so never had the chance to actually meet him. But I treasure his memory, and am still astonished that he took the time to write with such consideration to a lowly student. I rembember Christopher Lloyd, I have been in his garden three times the last years. That's lovely. Thank you for sharing!